Support Your Local North Shore Farmers Markets This Summer! It’s exciting to know, now that Memorial Day weekend is behind us, that we’ve unofficially entered the summer season here on Chicago’s North Shore! The North Shore communities of Winnetka, Northbrook, Highland Park, Deerfield and Glencoe are wonderful places to live throughout the year, but there’s something really special about the warm weather months. There’s not only an even wider variety of things to do, but residents and visitors are able to get out and interact within their community on a deeper level. As you know, if you’ve visited my blog in the past, I enjoy giving people a rich overview of what North Shore living entails. My work as a North Shore Real Estate agent isn’t limited to market updates and helping buyers and sellers navigate the North Shore Real Estate market. I want to be sure that those interested in moving to the area to discover the quality of life in these communities that’s hard to find anywhere else! I’m passionate about what the North Shore communities have to offer and I hope you find them as appealing as I do! In fact, now is a great time to get out and learn more about the North Shore. 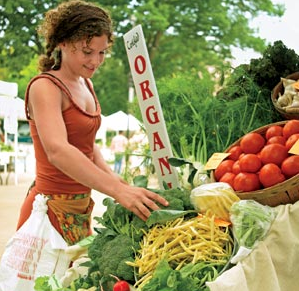 The warm weather brings about the opening of local farmers markets that you’re sure to enjoy! These markets are not only a fantastic way to get out and meet neighbors, you’re essentially giving back to the community! Supporting local growers and artisans is one of the best things you can do to benefit the community, and in the process, you’ll get the freshest produce and unique finds! Here are a few highlights of farmers markets in the area that will be opening within the next few weeks! - Savor the Flavor of the Seasons' Bounty at the Deerfield Farmers Market, this year celebrating its’ 18th season! Each week find fresh-from-the-farm products grown by Midwest farmers and produced by local businesses. Choose from organic fruits and flowers, fresh baked good, hand-crafted Wisconsin cheese and much more! This is Deerfield's very own place to be every Saturday morning! - Northbrook Farmers Market opens its 4th season next Wednesday, June 20, with the traditional 9:30 a.m. Watermelon Cutting Ceremony presided by Village President Sandy Frum. Musical performances, crafts for the children, free popcorn, police and fire department vehicle tours and much more will make the opening day a memorable experience! - Shop for fresh fruits, veggies, baked goods, flowers and more at the Glencoe Farmers Market sponsored by the Glencoe Chamber of Commerce. - This local Highland Park market is filled with local produce and goods that will keep you coming back each Saturday! I hope you’re able to mark your calendar for the farmers market openings and can get out in the community to give back to the community! You’ll find this is just one more way to enjoy the North Shore! If you have been considering moving to the area, or have been looking at some of the beautiful homes in the North Shore in hopes of buying soon; please let me know! I would be glad to answer your questions and show you homes that are on the North Shore Real Estate market! 4 Simple Tips to Help Sell Your North Shore Home! As we get closer to the start of summer here on the North Shore, the last thing you probably want to think about is selling your North Shore home. Yet, perhaps a job change or desire to move to your dream home in one of the North Shore communities is causing you to move forward with selling your home. In working as a North Shore Real Estate agent serving Winnetka, Deerfield, Northbrook, Glencoe and Highland Park for a number of years, I understand the stress that can come along with trying to sell your home. You’re wondering about the current North Shore Real Estate market, how long it will take to sell, if you’ll get the return on investment you’re hoping for, and a number of other various details that coincide with selling a home. Yet, the home selling process can run smoothly if you have an experienced North Shore Real Estate agent by your side who has created a customized selling plan for your home, and who will guide you through each step. If you’re looking for ways that you can help your home stand out on the North Shore Real Estate market, below are a few simples tips that will help! 1. Update listing photos- If you had your home on the market last year or earlier this winter, you’ll want to update your listing photos! Your North Shore Real Estate agent can take care of getting photos of your home or condo that reflect any updates you’ve made or to simply allow your home to appear fresh on the market. Any buyer who has seen your home online in the past may not realize you had taken your home off the market and it will seem stale. 2. Create a Sensory Experience- Whether you light candles or have freshly baked cookies on the counter, appealing to the senses of taste and smell can immediately make buyers relax and feel comfortable in your home. 3. Highlight Your Outdoor Space- This is an important space for anyone moving to the North Shore. Buyers want to know they can enjoy the outdoors from the comfort of their own home, so creating a welcoming environment on your patio, deck or yard will allow buyers to envision themselves in the space once the warmer weather hits. 4. 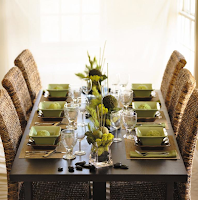 Set the Table- Staging your dining room with beautiful place settings can help buyers envision hosting friends and family for dinners in your home. Chances are buyers will have friends and family visiting for vacations, so it will give them that feeling of gathering with loved ones in the home. These seemingly small things can really help buyers feel that there’s just something special about your North Shore home. Paying attention to the details shows that you’ve cared for your home well and helps buyers imagine themselves living in your home! If you have questions about my customized home selling strategy or are ready to take the next step in selling your North Shore home; please contact me today! I look forward to helping you get your North Shore home sold! Enjoy Chicago North Shore Beaches This Summer! Even though we’re still in the month of May, it feels like we’ve already hit summer with the recent balmy temperatures and beautiful sunshine! And, with Memorial Day weekend just around the corner, many of us here on the North Shore are ready for the official start of the summer season boasting a number of great outdoor activities. Whether you currently live in Winnetka, Glencoe, Highland Park, Deerfield, Northbrook or any of the other North Shore cities; chances are you’re anticipating taking advantage of the North Shore’s great location along Lake Michigan. Summers are the perfect time for setting sail, boating, swimming or just soaking up the sun on the sandy beaches. 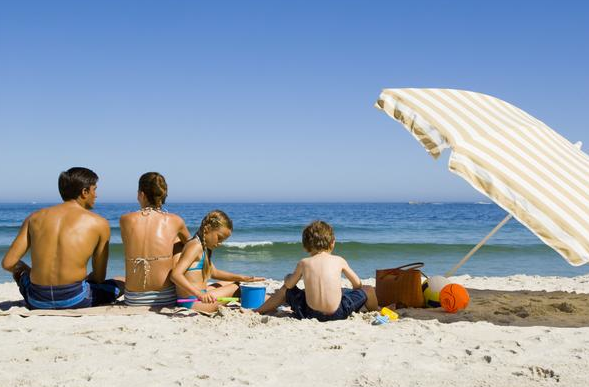 Yet, safety is also a number one priority if you’re going to be enjoying the North Shore beaches; so I thought I’d highlight a few safety tips you’ll want to review before heading out to the sun and sand! • Always wear sunscreen! Even with clouds overhead and late afternoon sun, your skin will still be exposed to harmful UV rays; be sure to protect your skin. • Make sure everyone in your boat can swim, and if not, that floating devices are used and there is someone watching that person at all times. • Never swim alone! Even the most experienced swimmers can experience fatigue, or an injury that will make it hard to swim. • Always watch children who are anywhere near water! The most accidents happen when children are wading in shallow water, so always make sure they’re supervised! • Be sure to swim only in designated swimming areas. • Look before you leap! Never dive into water unless you know that it’s deep enough to do so. Always keep your hands above your head when diving to ensure safety. • Never mix swimming or boating with alcohol. Now that you’ve reviewed these important safety tips, I thought I’d point out a few of the North Shore beaches where you can enjoy the beautiful summer season! This beach opens June 7 and is a fantastic beach with free, but limited, parking! A perk is that the beach staff operates a cart service from the lot to the beach so that you don’t have to carry all of your beach stuff to and from the beach! Amenities include: swimming beach, beach house with restrooms, playground and off-street parking. Daily admission and season passes are available. Lloyd Beach is home of Winnetka Park District's junior sailing program, a public boat launch for power and sailboats up to 24' and small boat storage for kayaks, canoes, Sunfish, Lasers and similar sized boats. The boat launch allows patrons to purchase a daily fee or season pass for the launching of boats. Personal Watercraft are launched by season-pass only, no daily fees. Amenities include: swimming beach, beach house equipped with restroom, showers, vending machines, concessions, sand volleyball court, playground, wet sand play area complete with spray pole, boardwalk extending from parking lot to beach house, two parking lots, walkway from top of bluff to beach and picnic shelter at the top of bluff. Daily admission and season passes are available. Of course there are many other options for beaches along Chicago’s North Shore, but I wanted to highlight just a few that you’ll enjoy! If you don’t currently live on the North Shore, or you’ve been dreaming of buying a second home along the Lake Michigan shoreline as a vacation destination; please let me know! As an experienced North Shore Real Estate agent, I would love to help you navigate through the home buying process and can show you some of the beautiful homes currently for sale on the North Shore Real Estate market! Please feel free to contact me today! Deerfield Active Listings: There are a total of 92 properties actively on the market with the average price of $649,774 in Deerfield. Deerfield Sold Listings: 32 properties closed last month in Deerfield with an average sales price of $424,179, the average time on market for these properties was 69 days. Glencoe Active Listings: There are a total of 62 properties actively on the market with the average price of $1,792,461 in Glencoe. Glencoe Sold Listings: 18 properties closed last month in Glencoe with an average sales price of $944,631, the average time on market for these properties was 50 days. Winnetka Active Listings: There are a total of 122 properties actively on the market with the average price of $2,443,923 in Winnetka. Winnetka Sold Listings: 15 properties closed last month in Winnetka with an average sales price of $990,533, the average time on market for these properties was 60 days. Highland Park Active Listings: There are a total of 213 properties actively on the market with the average price of $1,181,143 in Highland Park. Highland Park Sold Listings: 52 properties closed last month in Highland Park with an average sales price of $467,989, the average time on market for these properties was 69 days. Northbrook Active Listings: There are a total of 139 properties actively on the market with the average price of $785,815 in Northbrook. Northbrook Sold Listings: 55 properties closed last month in Northbrook with an average sales price of $406,340, the average time on market for these properties was 57 days. Tips for a Smooth and Efficient Home Buying Process on the North Shore! A few weeks ago, I talked about the spring North Shore Real Estate market and gave some tips for navigating the home buying or selling process. Today, I wanted to hone in on ways to ensure the home buying experience is as seamless and efficient as possible. As you know, the spring market is teaming with activity and you’ll want to be prepared to move on a home before another buyer snatches it up. If you’re hoping to find and be settled into your new North Shore home before the gorgeous summer season begins, here are a few key tips for making it happen. 1. Start Your Search Online- Instead of spending your time searching for open houses or for sale signs, get online to streamline your search. There are many great homes in the North Shore which you can view on my North Shore website! 2. Get Pre-Approved- Finding the home of your dreams and then shopping for a loan is a risky move, as most home sellers won’t even look at an offer that’s not accompanied by a pre-approval letter. Getting pre-approved ensures you know your exact budget and can save you from a bidding war if many are vying for the same home. 3. Prioritize Your Housing Needs- Finding a home fast means being flexible. The longer the list of requirements, the harder it will be to find a home. Keep your list short and to the point. Focus on the key elements you’re looking for and let the extras fall as they may. 4. Find a Great Agent- This may seem easy, but finding an agent that truly knows the North Shore Real Estate market and can show you properties that are right in your price range and meet your style and needs can be challenging. Of course, I’d love to help you in your home search and know that my experience and proven success will make the home buying process an easy one. Bottom line? Do your homework and really research local North Shore Real Estate agents. 5. Negotiate Repairs- If an inspection reveals that the home you want to buy requires repairs, taking the responsibility off the seller can help you close the deal quicker. After obtaining estimates, ask the seller for a credit rather than asking them to complete the repairs themselves. 6. Have Cash Ready for Closing- You don’t want to be scrambling for funds at the last minute, so be prepared for this important date. A day or two before closing on your North Shore home, you’ll get the final settlement statement, detailing the terms of your loan and all the closing costs. 7. Have a Plan B- Because not every transaction goes smoothly, be sure you have a property or two as a backup; you don’t want to have to start from scratch! As a North Shore Real Estate agent, I understand that the entire home buying process can seem overwhelming at first, but these tips should help the process feel more manageable and create a streamlined approach. I’m always here to answer any questions you have concerning buying a home or living on the North Shore. From finding your dream home to signing the contract; I’ll be with you each step of the way!